With spring now in full swing, and Easter just around the corner, we’ve done our research to offer you some nice options for your upcoming Easter celebration this April 16th. The restaurants listed below are promoting some nice specials for you and your family to enjoy this holiday season. To make is easier on all involved, we suggest you make a reservation in advance through OpenTable.com. Bon Appétit! This favorite Mediterranean style restaurant has created a tasty $35 three-course menu that features a Seasonal Garden Scramble, Torched Avocado, Coconut & Chia Seed Flan and your choice of a seasonal cocktail, wine, or non-alcoholic drink. Promoted as an “American Arboretum,” Roaring Fork is offering an A La Carte Brunch menu from 10:00 a.m. – 2:00 p.m. 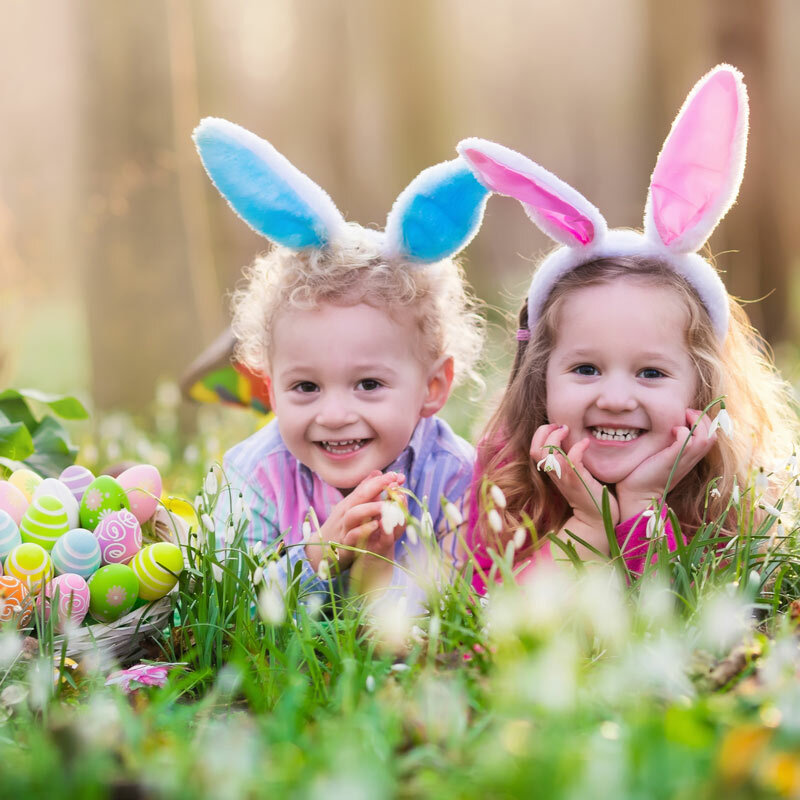 Serving “American Northwest” cuisine, Chez Zee is celebrating Easter throughout the weekend with Saturday and Sunday Brunch, Dinner, and entertainment for kids of all ages with live music, magicians, balloon artists and face painters, too! MAX's Wine Dive Austin – San Jacinto Blvd. Be sure to book ahead at OpenTable.com to reserve a special spot to enjoy Max’s favorite Easter specials all day long. One of the best bets for a “Contemporary American” Brunch, Nightcap promises a delicious selection of fresh Lemon Ricotta Pancakes to Fried Chicken and oh-so-much more to please every pallet! For the freshest seafood in town, head to Eddie V’s who is preparing a special “Jazz Brunch” priced at $15 for Children and $49 for Adults from 10:00 a.m. – 3:00 p.m. Rather do dinner? We always enjoy their exceptional seafood options and Prime steaks. With a 95% approval rate on OpenMenu.com, we recommend you make your reservation soon for Siena which is offering a pre-fixe Brunch Menu. Be prepared to savor Fleming’ classic Easter favorites in their special three-course brunch menu that features Signature Eggs Benedict and Cinnamon Apple Brioche French Toast. Bring the whole family as they have a special Children’s Menu, too! If you’re seeking a ‘classic brunch’ for your Easter celebration, head to The Capital Grille to enjoy their Executive Chef’s personal selections for this holiday which include Shrimp and Grits. The good folks at Brio are encouraging you to “Hop on Over for Easter Brunch” as they are opening early for the celebration and will offer Easter Brunch until 3:00 p.m.
With their KIDS EAT FREE (all day) offer, perhaps it’s time to enjoy some Fondue for your Easter feast! They’ve prepared some very special Gift Baskets for kids 12 and under (while they last) and will offer a free entrée for every child with the purchase of an adult four course meal. With a new Brunch menu served the “Little Italian Way,” Maggiano’s welcomes families to enjoy their traditional dishes all day long. But wait there’s more! We all know that Austin is famous for many reasons and fine and favorite dining establishments are certainly part of the pleasure we all enjoy as residents of LeMontreaux concierge apartments in Austin. Take some time today to visit OpenTable.com for all the options for your Easter Sunday feast and every day in-between!